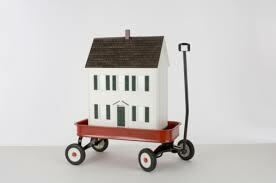 Moving homes? Make sure you update the Home Office! It is of high importance that you notify the Home Office of any changes in your home address. If you have an application pending or have any type of immigration permission to remain in the UK, the Home Office will normally write to you if they need to convey important information. Therefore, if the Home Office do not have your most updated address, you are likely to miss important correspondence which may have required you to take an action within a specific deadline. Therefore, if you have failed to update your address and are thereby not receiving correspondence from the Home Office, this could lead to serious consequences such as your permission to remain in the UK being revoked or your application withdrawn due to failure to comply with the Home Office’s directions. If you are updating your address using the online service, the system will prompt you to provide these details. However, if you are making a postal request please ensure to cover all of the points mentioned above to ensure that the Home Office are able to update your address without any delays. If you are an asylum seeker and your accommodation is provided by the Home Office’s housing partner a letter from them confirming your address can also be used as proof of address. If you are a victim of abuse and your accommodation is being provided by a charity or other organisations, a letter from them confirming your address will also be accepted as a proof of address. If you have legal representatives, they can also update your address on your behalf. They will require to submit the same documents as mentioned above as well as a signed form of authority on their headed paper to confirm that they have your permission to act on your behalf. Please note that the Home Office will not accept any requests to update your home address, unless the above information and documentation is provided with the request. Faiza Choudhry is an expe­ri­enced Senior Immi­gra­tion Advo­cate. She reg­u­larly advises clients on com­plex immi­gra­tion issues.